the thin line: 3 Sketches! here are two late sketches and one that is on time. 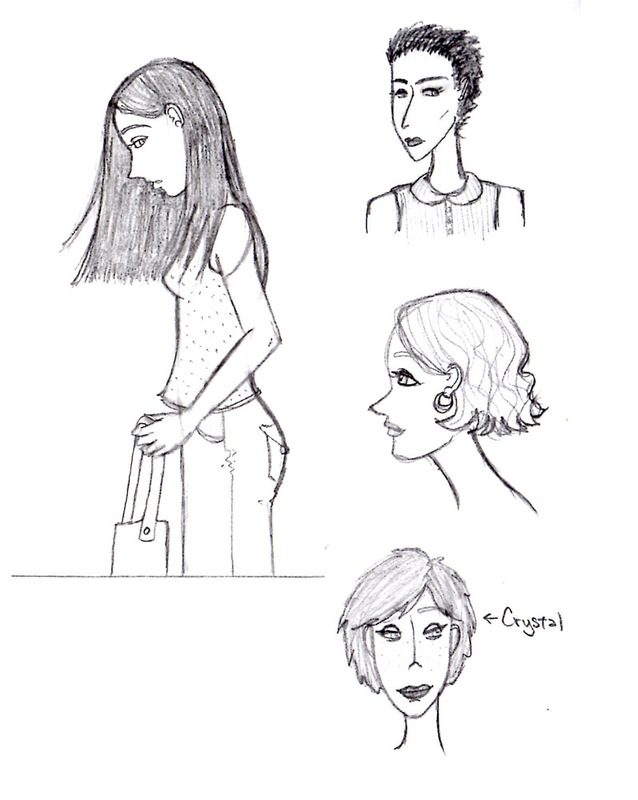 this is a sketch of book characters from some books we've listened to at work. 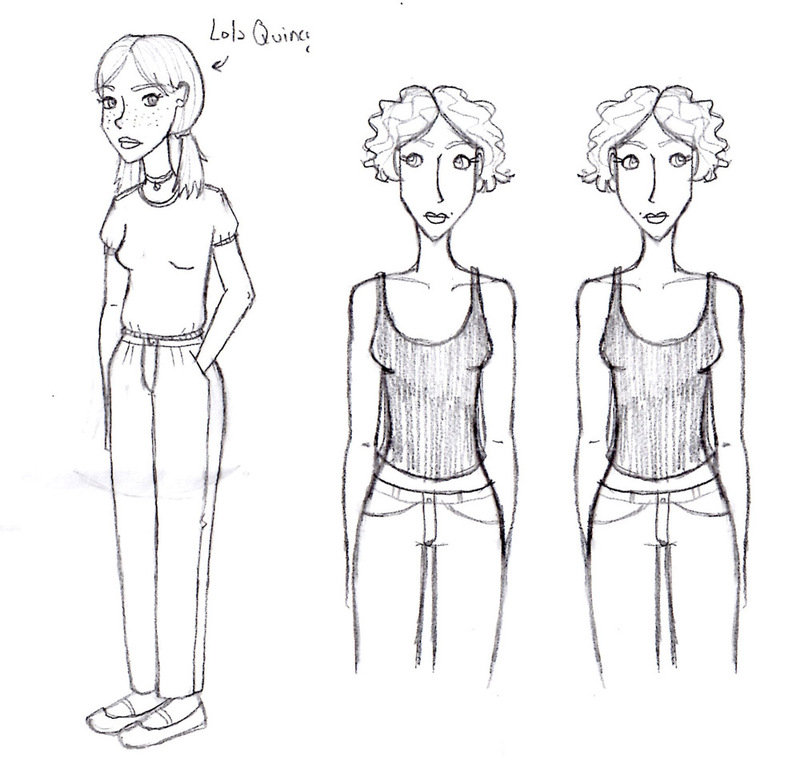 Lola Quincey from Atonement and the twins (Julia and Valentina) from Her Fearful Symmetry. more book characters. 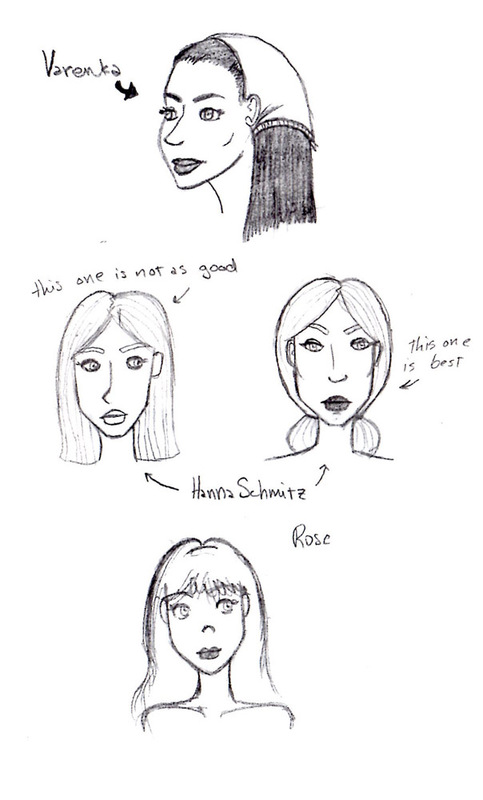 here we have Varenka from Anna Karenina, two versions of Hanna from The Reader, and Rose from The Forgotten Garden. these are just random. no stories here, folks.